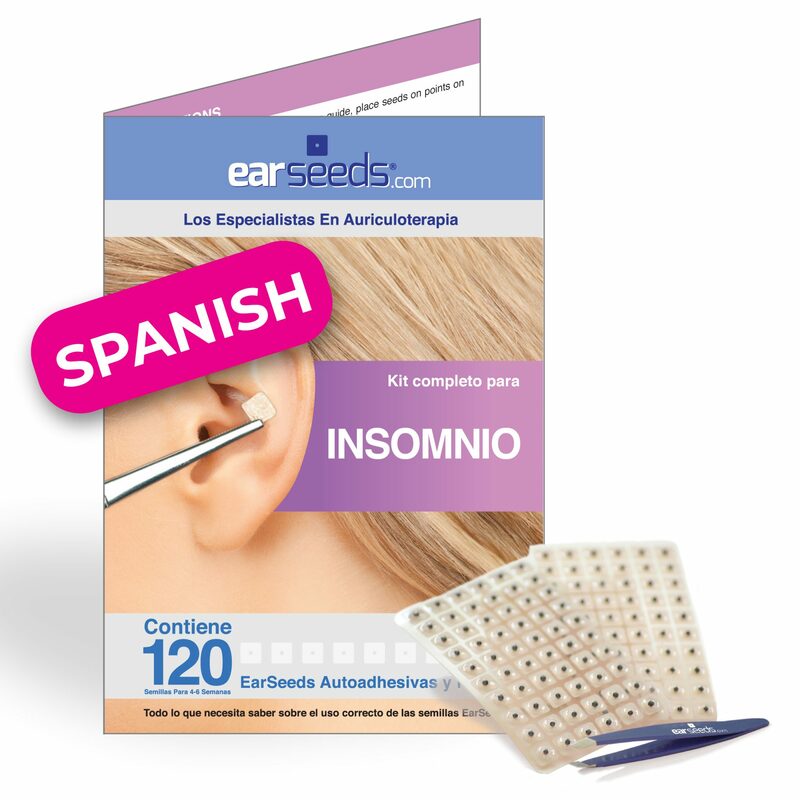 Our popular EarSeeds Kits- in Spanish! 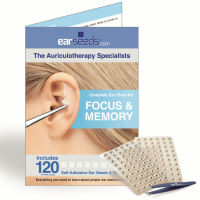 Contains ear chart showing auriculotherapy points that are believed to correspond to regions of the body associated with insomnia. 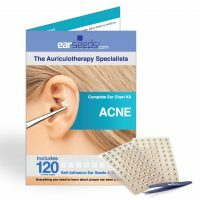 Kit includes ear seeds, insomnia point chart, and tweezers. Clearly illustrated graphic image detailing points believed to correspond to insomnia. 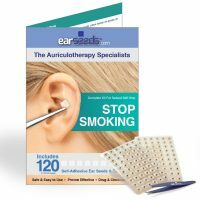 Sleep better with our ear seed kit for insomnia!